Today, 22nd April, is Earth Day. Google has brought out a beautiful doodle featuring Dr. Jane Goodman that is full of hope and promise. She says, "Each one of us matters, has a role to play, and makes a difference." (to earth, to life). This is our wish for the day - that each of us may realise that we matter and have a role to play to make ours a better world. Earth Day greetings to you and your family. We used to welcome the rain but now we dread the dark clouds. 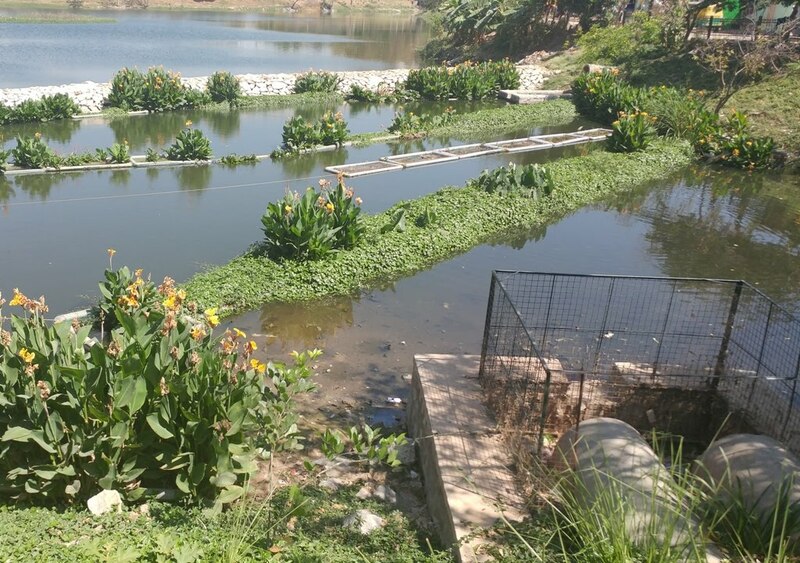 The sewerage system outside the lake is a combined one and even a drizzle can cause rain water to mix with the sewage, overflow from the manhole and enter the lake. 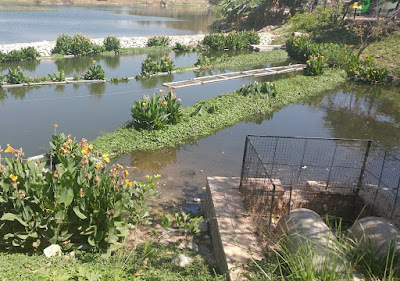 It did on 15th March and triggered the fish kill in our lake. 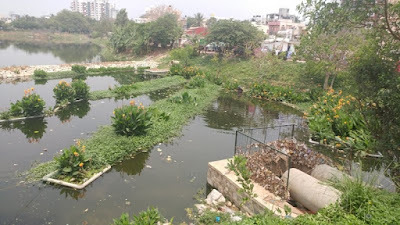 Sewage entered the lake from three places in March - Nataraja Layout; 1st Cross, Aradhana Layout and from the chamber beside the wall of MLR Convention Centre. In the name of beautifying their entrance, the newly constructed Samskruthi Brindavana laid a garden and buried the manhole cover. 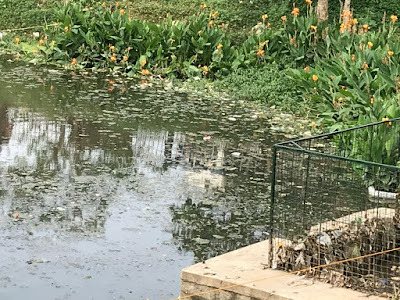 Another reason for the fish to die was because the fisherman released more fingerlings into the lake on 9th Feb. even though the water level was falling fast due to evaporation. He ended up losing all of them (see pic). He does nothing to help us maintain the lake but was quick to blame us for his fish dying due to the sewage. We have updated the Fisheries Dept. and sought to know what measures they take to ensure the quality of the water in the lake to which they have given the fishing rights to a contractor. The rain in the evening of 2nd April once again brought sewage into lake. 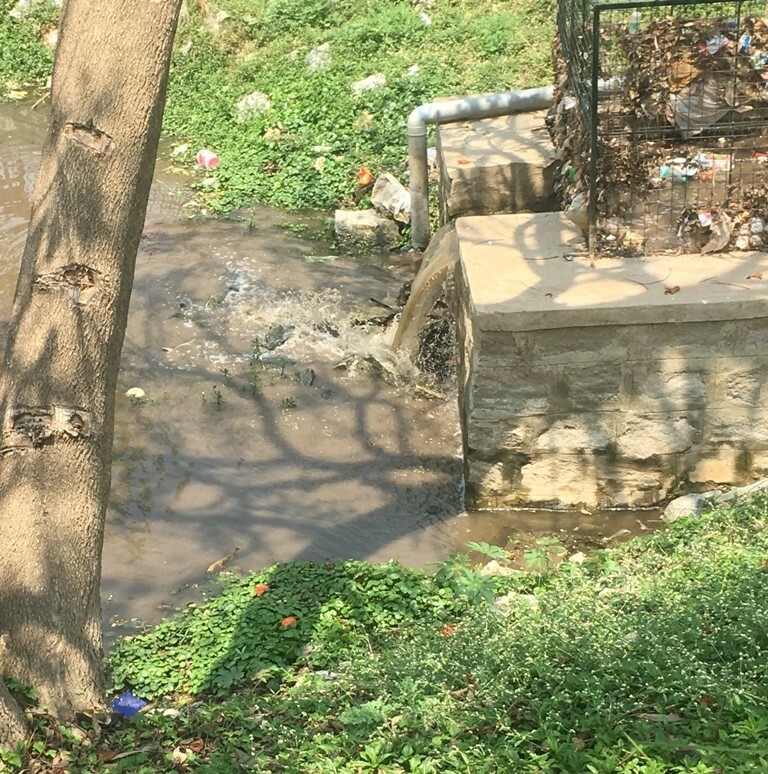 Yet again, we called the local office of BWSSB and early on 3rd morning, they cleared the block in the drain at Nataraja Layout with a jetting machine. 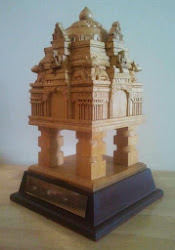 However, the drain in 1st Cross, Aradhana Layout dead ends into the chamber. It does not need the rain to overflow. Hence, even after 15th March, sewage from this point has been steadily flowing into the lake. In a matter of days, it has completely undone our work of several years. 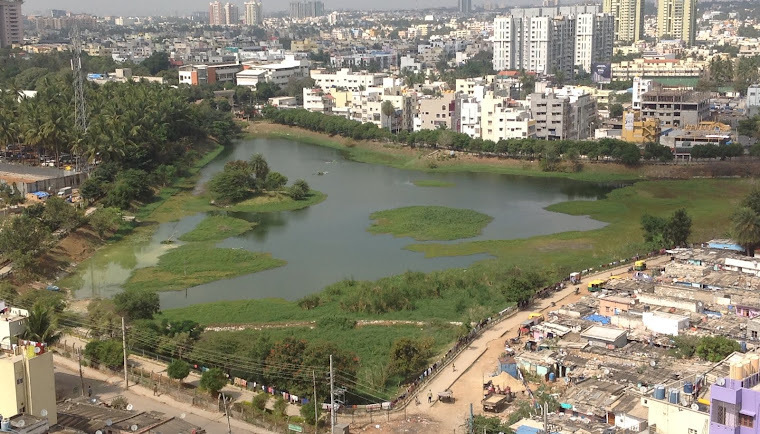 The photo on 1st March below, shows the pristine wetland, the aquatic bio-filter zone, pinnacle of our endeavour. 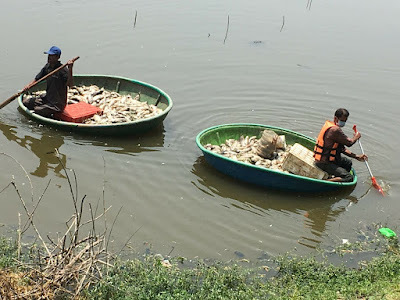 By 24th March, the water was dotted with dead fish and the grill packed with trash. Sewage from Aradhana Layout continues to flow and made the wetland a cesspool by 3rd April. There are no more fishes to die in our lake. If sewage continues to flow in, the lake will die too. We have written to BWSSB. We'll update you on the actions they take to protect the lake, to ensure that sewage never again enters the lake. Sewage is not slow poison but a swift decimation not just of the fish but of the lake itself.